A team of archaeologists and restorers were dispatched on Monday to the Giza Plateau to inspect work achieved at Khufu’s second boat project, and to investigate the condition of a damaged beam. 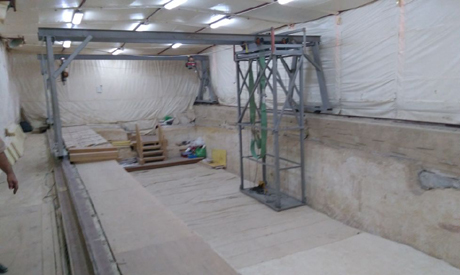 Since 2010, a Japanese-Egyptian team has been working to lift, restore and reconstruct the ancient boat, 4,500 years after it was buried as part of King Khufu's funeral rites. 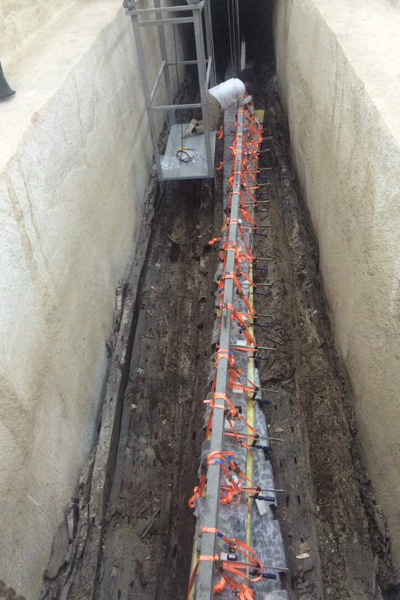 So far, 745 pieces of the 1,264 pieces of the whole boat have been removed from the excavation pit. "A very small part of the beam was subjected to a very mild deterioration which does not have any impact on the beam itself and could be easily restored during the restoration work carried out by the efficient and skillful Japanese-Egyptian team," Ashmawi asserted, adding that his observation and the team escorted him during his inspection tour confirm the report submitted by the project team. Ashmawi told Ahram Online that a committee from the Projects Department at the ministry is to be assigned to re-inspect the beam in order to make another report. He also said that the whole case is now under an administrative investigation in order to find out if there was any employee failure related to the incident. Eissa Zidan, director-general of first aid restoration at the project, explained that the pit houses around 1,264 wooden beams in 13 different layers. The majority of the beams are in a very bad conservation condition while a minority are almost fully decomposed. A total of 732 excavated pieces have so far been restored, Zidan said, and a collection of 560 pieces have been transported to the Grand Egyptian Museum overlooking Giza plateau. There are plans to lift and restore all the beams in an attempt to reconstruct the boat and put it on display beside the first boat discovered in 1954 by Egyptian historian Kamal El-Malakh and restored by well-known restorer Ahmed Youssef.